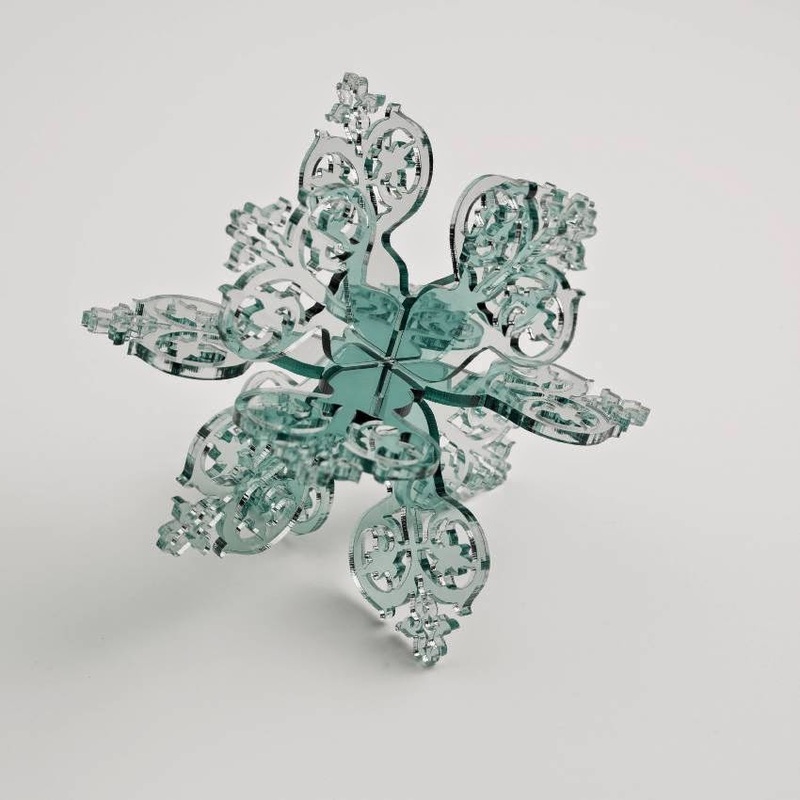 Laser cutting acrylic can be very profitable, and also very difficult, especially if you are after the “flame polished edge”. There are many factors that will play a role in your ability to get the best possible edge; both in the material as well as the laser system itself. Velocity of motion system during cutting. Sometimes it is better to slow the laser down AND lower the power to not overpower the material. The less vibration the motion system makes the better the cut. The performance of motion system in the change of direction. This would include the lasers ability interpret curves, as well as how smoothly the laser’s motion system can change direction. 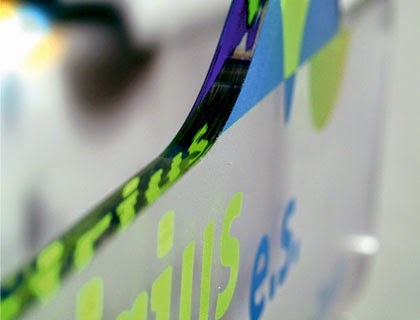 A very “clunky” motion system will show up as waviness in the acrylic in and around changes of direction. How the laser’s printer driver sends a curve to the laser. If it sends the curve as a jumble of nodes, this will also translate to the edge quality and look like a “coin edge”. Reducing the nodes in the original file or using the Enhanced Geometries settings will help smooth out the curves. The type of acrylic will also affect the edge quality. Extruded cuts better than cast; however, it will not frost when engraved and can leave a burr on the edge of the piece. Cast acrylic will cut just as good as extruded, but will require more intense power settings than extruded. Focal lens choice also will play a role in the edge quality. Ideally a 2.5” lens will work with thicknesses up to 3/8-1/2”. Anything thicker may require a 4”, 5”, or maybe even a 7” lens. This is where laser power will come into play. When the focal distance increases, the amount of energy of the laser will seem to decrease. Not having enough power will mean slowing the laser down significantly to cut through the material. 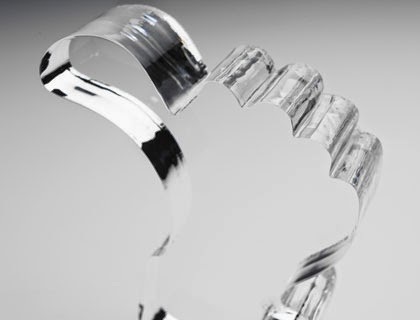 There is a point where cutting slower will not work because it will increase the chance of flare-ups that can occur when cutting acrylic too slow. Acrylic is flammable and the only cure for this is more laser power. Then the acrylic can be cut at optimal and production friendly speeds and still get the nice polished edge. Achieving a high quality edge with multiple passes is very difficult. Focal point will have an effect on the angle of the cutting edge. The thicker the material the more “into the material” the focal point should be. For acrylic over 1/4" thick, you should focus in 1/3 of the total distance ( ½” acrylic would need to be focused in approximately 3/16”.) This will keep the edge as straight as possible. The longer the focal point of the lens, the straighter the edge will be. 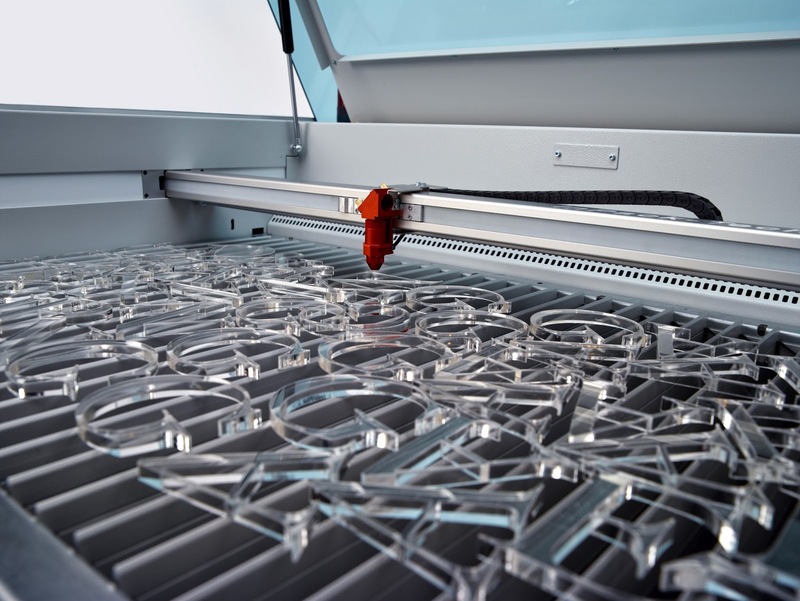 Air assist optimizes acrylic cutting. It does not take much air pressure, 5 PSI or more PSI if your nose cone is high above the acrylics surface. Too much air will force the molten acrylic to dry too quickly and give you a bubbly and cloudy edge. The air helps push the acrylic off-gas down into the cut so that the fume extraction/dust collection system can then pull the debris out of the laser system. The Fume Extraction/Dust Collection’s ability to remove the off-gas will help keep the hot gases from staining the areas around the edges. The more the CFM the better. This also reduces the chance of a flare up, since it is pulling the acrylic off-gas out of the laser faster.